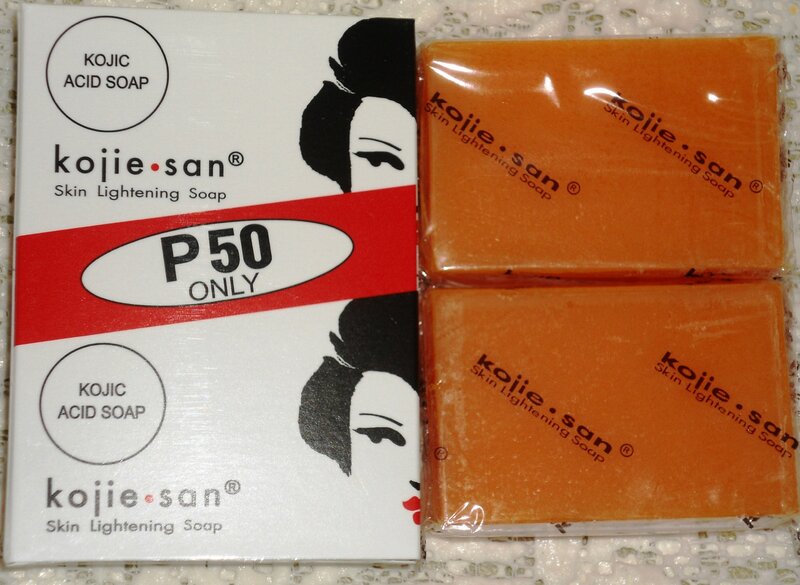 Benefits of Kojie San Skin Lightening Soap The original kojic acid lightening soap, Kojie San's formulation blendseffective whitening ingredients with nourishing coconut oil and a fresh orangefragrance. Kojic acid was discovered while processing rice for Japanese wines.The naturally derived ingredients in this soap have been proven to safely andquickly reveal even skin by gently smoothing away dark spots, discoloration,and other imperfections. - 2 Bars - 65g each - Suitable for use on both face and body - Moisturizing coconut oil primes skin for maximum absorption of kojic acid - Fades age spots, freckles, and other signs of sun damage - Gently heals acne blemishes and erases red marks and scars - Continuous use will result in fairer skin and prevent breakouts - See results within days!